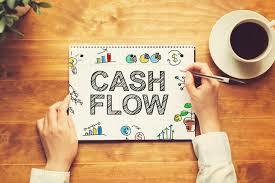 Good cash flow is essential for any start-up. It will determine the success or failure of your business. You could have the most ingenious idea, but if you don’t maintain a stable cash flow, your chances of being successful are limited. There are so many reasons why a business will experience cashflowissues, particularly in the first few years. For the lucky ones, many of theseissues will fix themselves over time as you realise what is and isn’t working. Everyone can benefit from a strong and stablecashflow,and it can always be improved. Here are some easy steps to help you increase your cashflowfor starts-ups or small businesses. There are four main areas to focus on when increasing your cash flow. 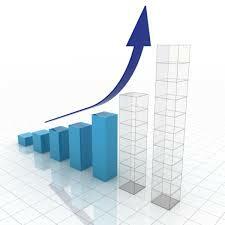 Each area not only improves your cashflowbut the overall success of your business. Applying these steps will also enhance your understanding of your business and how to expand further. It’s important to start with an understanding of how your business is operating, the amount of profit and funding generated, along with expenses. Forecasting allows you to gain an idea of future cash flow. A forecast can cover an extended period providing you with an estimate of your financial position at the end of the year along with potential profits and losses. This is an easy way to identify issues and understand the inflow and outflow of cash. How many opportunities are there to increase sales through new clients? Are you taking advantage of these opportunities? How effective is your sales process? Are you turning client leads into sales? Are you maintaining a good relationship with current clients? Are there opportunities to increase the average of sales? Are some expenses not necessary? Can any expenses be tendered or competitively priced? Growing sales is not as simple as you may think, many people are often unsure of how to start this process. Growing business salescan be summarised into three distinct categories;strategy, opportunity and measure. The strategy is the first and most crucialstep as before starting the process of increasing sales; you should have a clear understanding of your target market. You must know not only who wants your products, but also how to actively engage with them. Although, engaging with clients are not enough you must understand how to turn this engagement into sales. The next step is to evaluate your opportunities. Identify the areas of growth in your current market. You should identify where your company’s strengths are and what opportunities will utilize these strengths. The final aspect of increasing sales is to measure, not only does this allow you to see your improvements but also highlights potential issues and improvements. Your capital is divided into fixed or working capital. Fixed capital can be improved by analyzing the cost of hiring equipment rather than purchasing. Businesses are often quick to purchase equipment they do not need or only use on occasion. A simple tip for improving your working capital is focusing on your purchasing of stock. Is there too much? Can you move the unused stock? As an owner, you may be taking an increased amount of funds out of your businessto cover costs. In this case,it’simportant you look at how your finances are structured. Do you have enough financial security? If so, can you afford to broaden your source of cash flow? Are the conditions of your loan achievable and practical? Is the interest rate or payment too high?